The weather was so bright that morning. 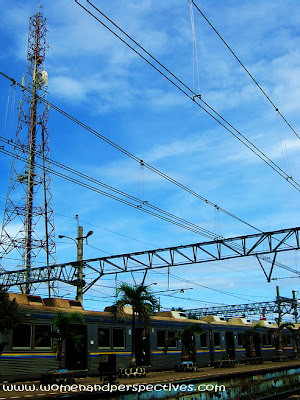 I was there, Bogor train station (Bogor, West Java, Indonesia), as I wanted to go to Jakarta (Indonesia's capital city). 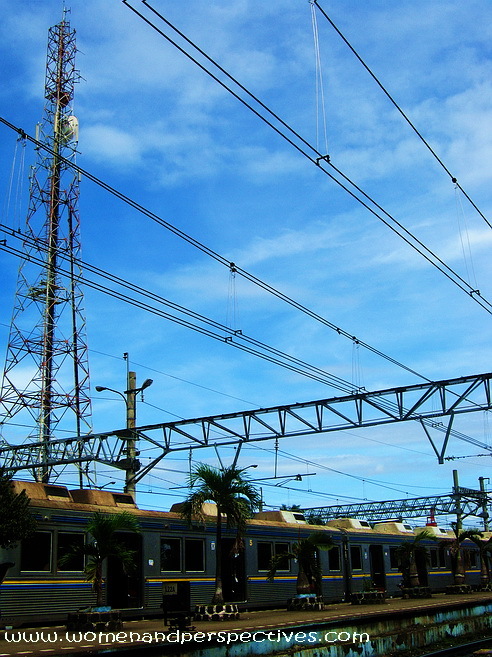 Train is a favorite public transportation for Bogor people as it's cheaper and you don't need facing traffic jam. But starting this month, this train will stop in every station. The journey becomes longer and the passengers inside becomes fuller. I saw in the news that the unpunctual departure schedules make lots of train commuters dissapointed with recent train service. Before getting into the train, I took my short times to take pictures around. I think this one can be shared here, Sky Watch Friday. Anyway, it's my very late entry. Have a great weekend to all! What a lovely bright blue sky. Wow that's true blue sky! !